Cthulhu is in power this year! And how he cannot be when a new anthology dedicated to the mighty elder god will be released this year. After Innsmouth Free Press released “Historical Lovecraft” edited by Silvia Moreno-Garcia and Paula R. Stiles on April (I finished a quarter of this collection already) and Prime Books announced the release of “New Cthulhu: The Recent Weird”, an anthology edited by Paula Guran, on November, Night Shade Books brings its offering to the Great Old One through “The Book of Cthulhu”, an anthology edited by Ross E. Lockhart and due to be released on September. I admit that I succumbed to the powers of Cthulhu and I followed his appearances on fiction ever since my first encounter with him. It comes naturally then to eagerly await his new manifestation this autumn, especially since some heavy writers will invoke his name in Ross E. Lockhart’s anthology, such as Ramsey Campbell, Thomas Ligotti, Joe R. Lansdale, Brian Lumley or Gene Wolfe. An interesting fact is that with certainty some of the names appearing on “The Book of Cthulhu” table of contents are true followers of the Old One since the same names appear on the table of contents of “New Cthulhu: The Recent Weird” too. Laird Barron, Caitlin R. Kiernan, John Langan, Tim Pratt, W.H. 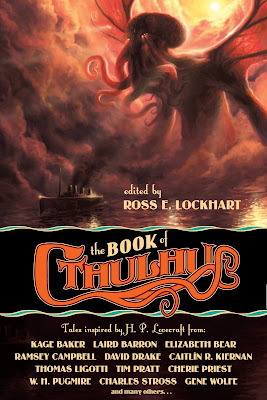 Pugmire and Michael Shea have stories on both Ross E. Lockhart and Paula Guran’s anthologies, while Elizabeth Bear (“Shoggoths in Bloom”), Steve Duffy (“The Oram County Whoosit”), Cherie Priest (“Bad Sushi”) and Charles Stross (“A Colder War”) try to win Cthulhu’s favor with the same story. Despite the fact that these four stories are published on both “The Book Cthulhu” and “New Cthulhu: The Recent Weird” they make only approximately 15% of similar content for the both anthologies and doesn’t impede my wish to read these two collections. “To Live and Die in Arkham” by Joseph S. Pulver, Sr.
One of the review copies that arrived in my mailbox recently is Daniel Polansky’s “The Straight Razor Cure”, received through the courtesy of Hodder & Stoughton, and it is the one that caught my attention almost instantly. Daniel Polansky’s debut novel, due to be released in the UK on 18th of August by Hodder & Stoughton under the title “The Straight Razor Cure” and in the US on 16th of August by Doubleday under the title “Low Town”, comes with some very interesting premises and sounds dark and gritty, characteristics that lately are on high demand in my preferences when it comes to fantasy novels. Dark and gritty is the book trailer too and quite interesting as well. Short, but pretty efficient, it stirred my interest and picked my curiosity further on, although I have to admit that a small part of acting within it looks a bit overly dramatic. Still, I believe that it achieves its purpose, together with the synopsis which with your permission I will quote again. I am really curious now how Daniel Polansky’s “The Straight Razor Cure” will prove to be. Welcome to Low Town. Here, the criminal is king. The streets are filled with the screeching of fish hags, the cries of swindled merchants, the inviting murmurs of working girls. Here, people can disappear, and the lacklustre efforts of the guard ensure they are never found. Warden is an ex-soldier who has seen the worst men have to offer; now a narcotics dealer with a rich, bloody past and a way of inviting danger. You`d struggle to find someone with a soul as dark and troubled as his. With a mind as sharp as a blade and an old but powerful friend in the city, he`s the only man with a hope of finding the killer. If the killer doesn`t find him first. Although speculative fiction takes the lion’s share of my readings, science fiction seems to be the poor sister of fantasy and horror and is often left with only the crumbs from their rich meal of books. Looking over the latest arrivals in my mailbox it seems that once again science fiction will not get any reprieved and it still has to wait for a sit at the table. I am not sure about "Heaven’s Shadow", because it doesn’t appeal to me too much. "The Departure" on the other hand sounds interesting, but I was thinking of starting with an earlier novel by Neal Asher and maybe later with his new series. However, the fantasy section is another matter entirely. Mark Charan Newton’s "Legends of the Red Sun" is a series that I enjoyed so far, so "The Book of Transformation" will satisfy my curiosity about the events that follow "Nights of Villjamur" and "City of Ruin". Col Buchanan’s "Stands a Shadow" is the second novel in his "Heart of the World" series, of which I heard only good things, therefore both his books are close to my top of reading list. Daniel Polansky’s "The Straight Razor Cure" sounds really interesting and its synopsis appealed to me instantly, so it is a book that I am willing to read very soon. It occurred to me, that for sometime I do have copies of three books that I received but did not showcase do to their arrival in electronic format. "Scenes from the Second Storey" is an anthology that gathered praise on the Australian speculative fiction scene, Lavie Tidhar’s "Osama" is put in an interesting light with the recent global events and "Black Gate" is a magazine that I wished for quite a while to start reading and recently I had the pleasure to receive a review copy from John O’Neill, the publisher and editor of "Black Gate" magazine. A new and corrupt Emperor seeks to rebuild the ancient structures of Villjamur to give the people of the city hope in the face of great upheaval and an oppressing ice age. But when a stranger called Shalev arrives, empowering a militant underground movement, crime and terror becomes rampant. The Inquisition is always one step behind, and military resources are spread thinly across the Empire. So Emperor Urtica calls upon cultists to help construct a group to eliminate those involved with the uprising, and calm the populace. But there’s more to The Villjamur Knights than just phenomenal skills and abilities - each have a secret that, if exposed, could destroy everything they represent. Investigator Fulcrom of the Villjamur Inquisition is given the unenviable task of managing the Knights’, but his own skills are tested when a mysterious priest, who has travelled from beyond the fringes of the Empire, seeks his help. The priest’s existence threatens the church, and his quest promises to unweave the fabric of the world. And in a distant corner of the Empire, the enigmatic cultist Dartun Súr steps back into this world, having witnessed horrors beyond his imagination. Broken, altered, he and the remnants of his cultist order are heading back to Villjamur. And all eyes turn to the Sanctuary City, for Villjamur’s ancient legends are about to be shattered . . . Still grieving the death of her son, the Holy Matriarch of Mann has ordered her troops to embark on a mission to the Mercian Free Ports. Riding at the head of her army she plans to finally conquer the city of Bar-Khos, whose walls have kept them at bay for ten long years. Ash has other plans for her. The old Rōshun warrior is determined that he will have vengeance for the crimes she has committed. But such a course of retribution is in direct opposition to everything he has lived for – this isn’t a Rōshun vendetta – it’s personal. While Ash battles with his conscience, Ché, the Matriarch’s personal Diplomat and assassin, is questioning his own path. Watching as the Mannian army slaughters their way across the world, he wonders whether he believes any of the doctrine he has been taught to follow. As the battle for Bar-Khos intensifies, more and more lives are affected: Bahn who leaves all he loves in the city to try to protect it from the ravening Mannian empire, Bull the murderer who senses a chance to make things right, and Curl, the young prostitute who is determined to seek her own retribution on the field of battle. When the two armies clash – all looks set to be decided. But it’s not sheer force that will win this battle. But the tormented determination of one man seeking redemption . . .
Heaven’s Shadow begins with the discovery of an object of unknown origin headed toward Earth. Speculation as to what it might be runs high, and leads to an international competition to be the first to land on it, to claim both the prestige and whatever other benefits there might be. Thus, two rival teams of astronauts begin a thrilling and dangerous race – but what they find when they reach their goal will turn out to be unlike anything they could have imagined . . . 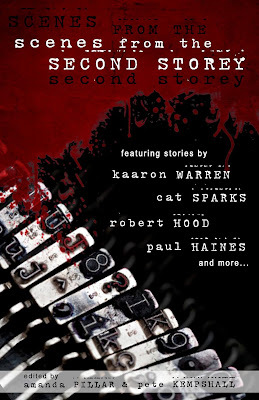 Scenes from the Second Storey is an anthology that pays homage to an album that Morrigan Books’ publisher, Mark S. Deniz, believes is one of the greatest of all time; Scenes from the Second Storey, by The God Machine. Each story in this collection has been inspired by a track from the album. Quirky, dark, insightful and sometimes downright disturbing, these tales reflect the emotions and images our authors experienced when they heard ‘their’ song from Scenes from the Second Storey. In Osama, Lavie Tidhar brilliantly delves into the post-9/11 global subconscious, mixing together elements of film noir, non-fiction, alternative history and international thriller to create an unsettling—yet utterly compelling—portrayal of our times. - "Black Gate", issue 15, Spring 2011 (through the courtesy of John O'Neill). 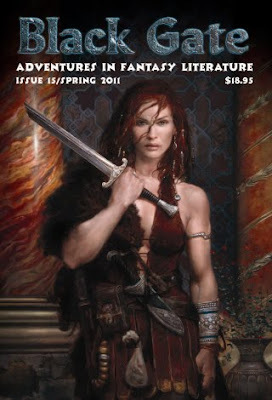 The theme of our massive 15th issue, captured beautifully by Donato Giancola’s striking cover, is Warrior Women. Eight authors — Jonathan L. Howard, Maria V. Snyder, Frederic S. Durbin, Sarah Avery, Paula R. Stiles, Emily Mah, S. Hutson Blount, and Brian Dolton — contribute delightful tales of female warriors, wizards, weather witches, thieves, and other brave women as they face deadly tombs, sinister gods, unquiet ghosts, and much more. Frederic S. Durbin takes us to a far land where two dueling gods pit their champions against each other in a deadly race to the World’s End. Brian Dolton offers us a tale of Ancient China, a beautiful occult investigator, and a very peculiar haunting. And Jonathan L. Howard returns to our pages with "The Shuttered Temple," the sequel to "The Beautiful Corridor" from Black Gate 13, in which the resourceful thief Kyth must penetrate the secrets of a mysterious and very lethal temple. What else is in BG 15? Howard Andrew Jones bring us a lengthy excerpt from his blockbuster novel The Desert of Souls, featuring the popular characters Dabir & Asim. Harry Connolly returns after too long an absence with "Eating Venom," in which a desperate soldier faces a basilisk’s poison — and the treachery it brings. John C. Hocking kicks off a terrific new sword & sorcery series with "A River Through Darkness & Light," featuring a dedicated Archivist who leads a small band into a deadly desert tomb; John Fultz shares the twisted fate of a thief who dares fantastic dangers to steal rare spirits indeed in "The Vintages of Dream," and Vaughn Heppner kicks off an exciting new sword & sorcery series as a young warrior flees the spawn of a terrible god through the streets of an ancient city in "The Oracle of Gog." Plus fiction from Darrell Schweitzer, Jamie McEwan, Michael Livingston, Chris Willrich, Fraser Ronald, Derek Künsken, Jeremiah Tolbert, Nye Joell Hardy, and Rosamund Hodge! In our generous non-fiction section, Mike Resnick educates us on the best in black & white fantasy cinema, Bud Webster turns his attention to the brilliant Tom Reamy in his Who? 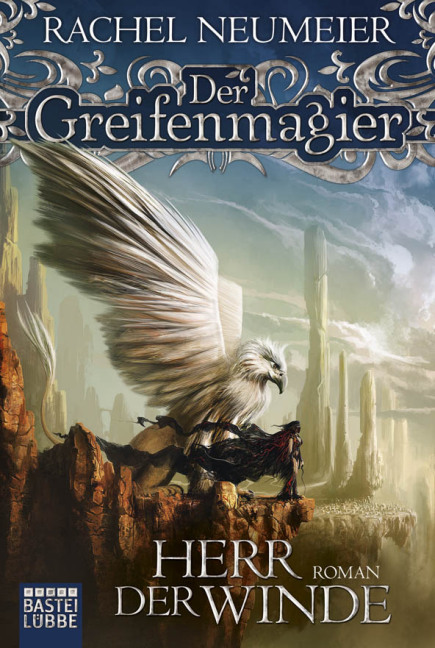 column on 20th Century fantasy authors, Scott Taylor challenges ten famous fantasy artists to share their vision of a single character in Art Evolution, and Rich Horton looks at the finest fantasy anthologies of the last 25 years. Plus over 30 pages of book, game, and DVD reviews, edited by Bill Ward, Howard Andrew Jones, and Andrew Zimmerman Jones — and a brand new Knights of the Dinner Table strip. Few believed Professor Coldwell was in touch with an unseen world - that he could commune with spirits. But in Scotland’s oldest university town something has passed from darkness into light. And now the young are being haunted by night terrors. And those who are visited disappear. Adam Nevill published three novels already, the latest, “The Ritual”, released was this year. With the occasion of “The Ritual” publishing I contemplated reading Adam Nevill’s novel, but on a second thought I wondered if it were not better to see where his journey in the world of publishing had started. With this idea in mind I’ve started reading his debut novel, “Banquet for the Damned”, instead of Adam Nevill’s latest release. “Banquet for the Damned” is a book that brought a small measure of success to Professor Coldwell and a few of devoted fans. One such admirer is Dante Shaw, a musician who receives his lifetime’s dream opportunity when Professor Eliot Coldwell invites him to assist his researches. With a concept album based on his most favorite book in sight Dante, together with his friend and fellow band member, journeys to the city of St. Andrews to meet his idol. The entire story of “Banquet for the Damned”, this time Adam L.G. Nevill’s novel, is set in the Scottish town, with the St. Andrews University an important part of the story as well. Although not entirely, the author manages to make the setting a vivid component of his story. It is true that sometimes I could not get an exact feeling of the location, but very often the setting joins and sets the mood of a particular scene. It is not worked perfectly, but it is more than a cardboard stage set, present only to set a surrounding for the characters to move on. Eliot Coldwell is the reason for the presence in St. Andrews of one of the main characters, Dante Shaw, but also he is a key figure of the plot. However, he is the only character from those with a substantial presence within the story who is under-developed. 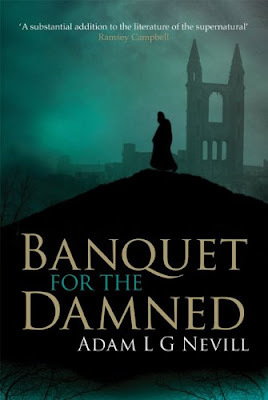 All the supernatural elements of “Banquet for the Damned” have a connection with Professor Eliot Coldwell in one way or another, but these connections and a few features of his personality raised questions that remained unanswered in the end. The other characters suffer a bit too, Dante Shaw and Hart Miller seem to be a little stereotypical, but fortunately they do not bother the reader and I did not perceive them as a burden. I did like Hart Miller more, but that is a question of personal preference than anything else. However, I had more doubt about some of the minor characters. Dante’s friend, Tom, is refered only by his first name for the entire length of the novel and discarded easily at some point and without any other consideration. I don’t have any problem with Adam L.G. Nevill referring to the character only by his first name, well maybe just a very small one, but I believe that the story would have been benefited more from the development of this character and his relationship with Dante. Also, the presence of a few side characters towards the end comes a bit unexpected and convenient. These can be seen as inconveniences, but none of the small issues I had with “Banquet for the Damned” are a major hindrance for the story. The story, however, is the strongest point of Adam L.G. Nevill’s novel. Adam L.G. Nevill builds a mystery, starting from a very strong prologue and continuing it page by page, blending together palpable and psychological terrors in an excellent mix. The supernatural is the center-point of the plot, but nothing related to its enigma is revealed suddenly or pulled out of the hat. The final scenes of “Banquet for the Damned” throw a light on the human element of the story as well, increasing the strength of the plot and the unsettling feeling of the story. There is almost nothing graphical at the Adam L.G. Nevill’s novel, the terrifying elements originating from the power of mind and imagination rather from the visual effects of violence. All the better, since such fears prove to be more frightening most of the times. “Banquet for the Damned” is not the best of debuts, but it is a good story and I enjoyed it. I felt on some places that the novel could have been shorter, due to a couple of over-stretched and dragging moments, but otherwise it revealed a talented writer. I am happy that I started with Adam L.G. Nevill’s debut novel, because now I am certain that his works can only grow and become better. Solitude around derelict and haunted houses, with the wind constantly whistling. Or is it something else making itself heard? These premises are right up my alley and these are a part of the reasons for my attention being drawn towards Jonathan Oliver’s new and upcoming anthology, “House of Fear”. More such reasons are the other edited anthology by Jonathan Oliver, “The End of the Line”, which comes with plenty of excellent recommendations (it is one I wished to read last year but which unfortunately still waits patiently on my book shelves) and another strong line-up of authors including some of my favorites, such as Sarah Pinborough, Tim Lebbon, Adam L.G. Nevill, Christopher Fowler or Joe R. Lansdale. 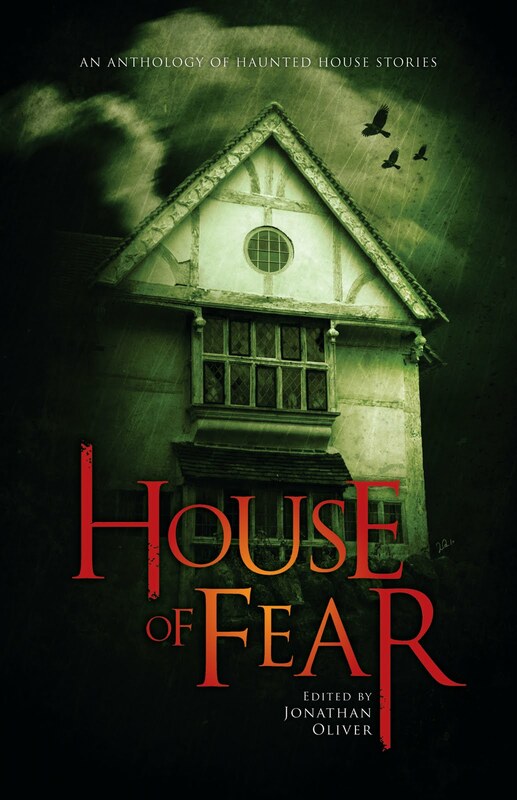 Enough reasons for me to eagerly await the release of Jonathan Oliver’s anthology, “House of Fear”, due to be made by Solaris Books on September, 27th in the US and October 1st, in the UK. Also I am happy to see that “House of Fear” is released a bit later this year, because I now have the opportunity to catch up with Jonathan Oliver’s other anthology, “The End of the Line”, especially since it looks like I will have a quiet and peaceful summer vacation this year. Last night I’ve started Jasper Kent’s “Thirteen Years Later”. Finally. I reached only 50 pages, but I was immediately caught and besides that I wish to go back as soon as possible and lose myself in Aleksei Ivanovich Danilov’s adventures I was left wondering what took me so long to start reading the second novel in Jasper Kent’s “Danilov Quintet”. Especially since I loved “Twelve”, the first novel of the series. Well, better late than never. The good news, however, is that Jasper Kent’s series will be true to its name and actually be a quintet, hosted by Transworld imprint, Bantam Press. 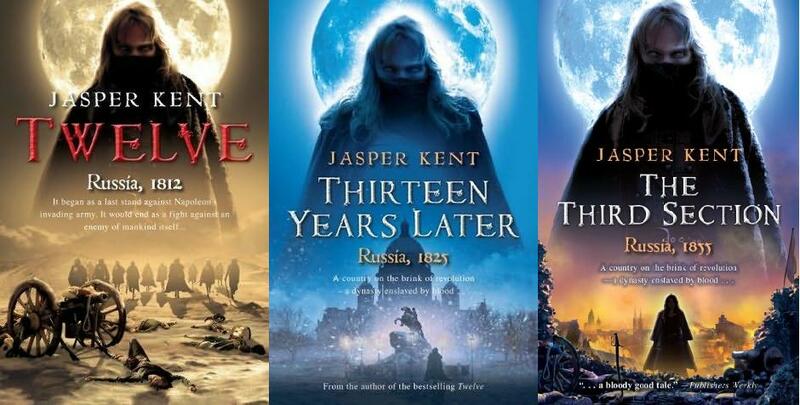 Initially, Transworld and Jasper Kent reached an agreement for the first three novels of the “Danilov Quintet”, but since May this year the publisher acquired the rights for the final two novels as well. I am very happy to find this news, because as I mentioned in the beginning, I loved “Twelve” and I am bewitched by “Thirteen Years Later” so far. That’s why I believe that I will be ready for more and I will be willing to go all the way to the end of the “Danilov Quintet”, starting with “The Third Section”, due to be released on August, and followed by the fourth and fifth novels, both published by Bantam Press sometime in the future. I am behind with a few things and one of them is Michael J. Sullivan’s “The Riyria Revelations” novels, “The Emerald Storm” and “Wintertide”. Although I do have both of them due to the courtesy of the author and his lovely wife my new and ever-changing schedule prevented me to read them so far. However I am determined to finish these novels in the course of this summer. Especially since the sixth and last volume of the series looms on the horizon. “Percepliquis” release date was delayed more than once if I am not mistaken. One of the reasons for such a delay was a very interesting and very pleasant piece of information, Michael J. Sullivan received an offer for a new home for his “Riyria Revelations”, at Orbit Books. It is well deserved and I am happy to see Michael J. Sullivan reach a wider market, because “The Crown Conspiracy” was an unexpected and pleasant surprise for me, strongly confirmed afterwards by “Avempartha” and “Nyphron Rising”. Another thing that made “The Riyria Revelations” an even more interesting series is that the cover artworks are created by the author himself. A series of simple, but evoking covers, enough to tease the appetite of the viewer and with an appealing color scheme. “Percepliquis” benefits from the same treatment, although I cannot say that it is my favorite, that honor goes to “Nyphron Rising”. In this case, something about the ship doesn’t seem right to me, but I have to admit that it still is a strong cover, that falls in the line of the previous ones and gives the series further solidity. It is great that Orbit Books allowed the release of “Percepliquis” on its own for the benefit of the fans and readers of the series who followed the adventures Hadrian Blackwater and Royce Melborn so far, because they opted for the publication of “The Riyria Revelations” in three volumes containing the six novels. It is a very nice gesture indeed. And although Orbit covers made by Larry Rostant are not bad, my reluctance towards characters on book covers make Michael J. Sullivan’s own designed covers my favorites. 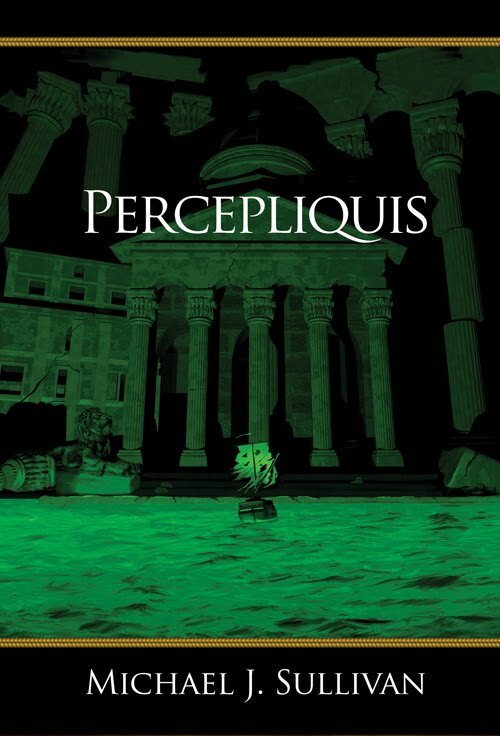 “Percepliquis” will be released on January 2012 by Ridan Publishing and Orbit Books will release the first volume, “Theft of Swords”, on November 2011, the second, “Rise of Empire”, on December 2011 and the third and final volume, “Heir of Novron”, on January 2012. I saw a great journey. Ten upon the road, she who wears the light will lead the way. The road goes deep into the earth, and into despair. The voices of the dead guide your steps. You walk back in time. The three-thousand-year battle begins again. Cold grips the world, death comes to all, and a choice is before you. 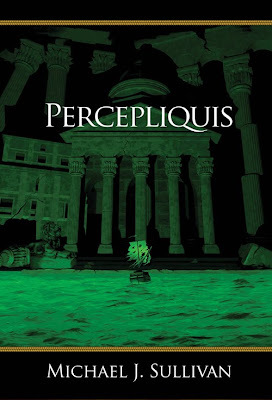 Percepliquis is the final installment of the epic fantasy, The Riyria Revelations. In this saga that began with The Crown Conspiracy, two thieves caught in the right place at the wrong time were launched on a series of ever escalating adventures that have all lead to this moment. Three thousand years have passed and the time for Novron’s heir to act has arrived.